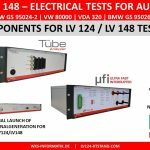 We are happy to take part again at the Automotive Testing Expo 2018 in Stuttgart, Germany. 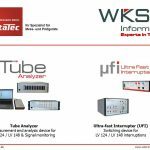 If you are in need for automated testing systems for electrical tests according to LV 124 / LV 148, just for components or for automotive HiL test systems, visit us between the 5th and 7th of June at booth 1324 (National Instruments). 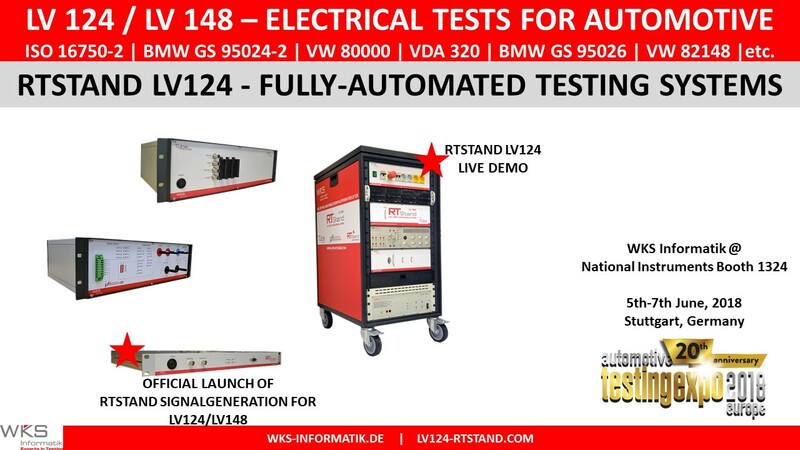 We will present a live demo of an automated LV 124 testing systems and launch our newest product for automotive electrical testing: RTStand SignalGeneration – for arbitrary signal generation, PWM generation and more!